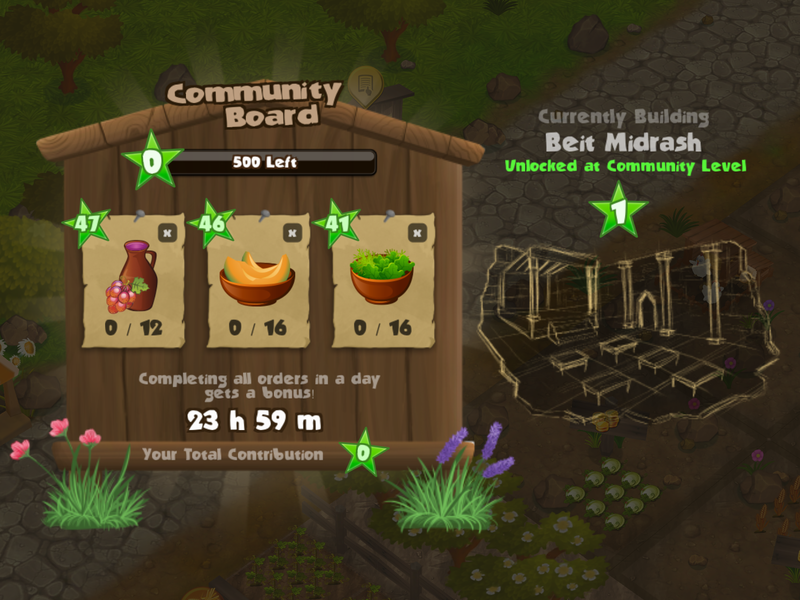 Kerem B’Yavneh (meaning literally “A Vineyard in Yavneh”) is a custom, collaboratively designed game between the Games for Entertainment and Learning (GEL) Lab at Michigan State University and the Frankel Jewish Academy. 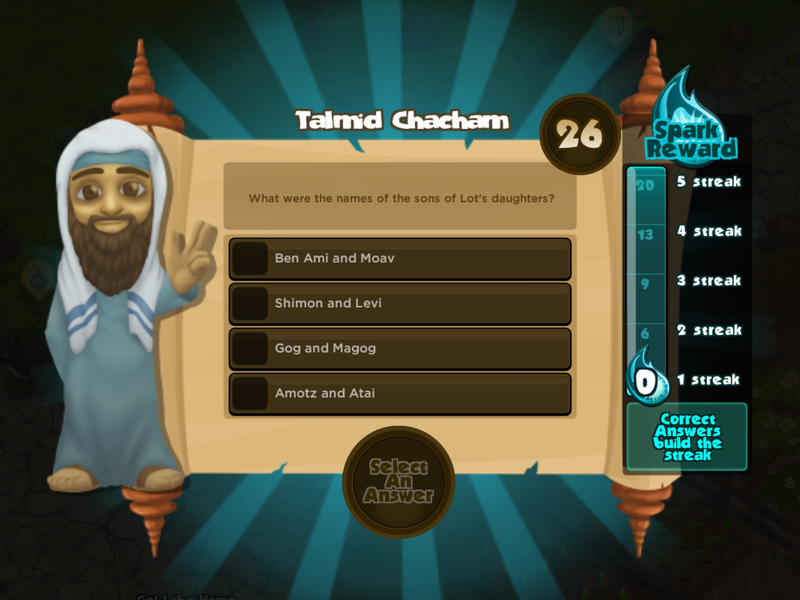 The goal of the collaboration is to create a game that motivates students to be more engaged in the Academy’s rabbinic curriculum and further make use of the Academy’s one-to-one education technology initiative. 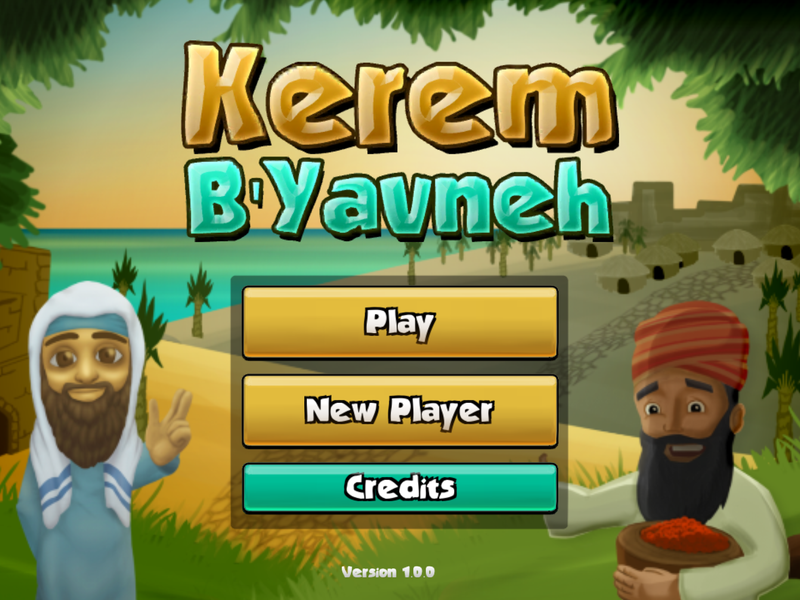 Kerem B’Yavneh is a casual, social, religious education, homestead-simulation, world-building game. There’s even some cooking involved! Our story unfolds in ancient Yavneh, a small agricultural community that was transformed into the center of Jewish life and learning after the destruction of Jerusalem’s Second Temple by the Roman Empire in 70 CE (the subject of our first game, Sparks of Eternity). 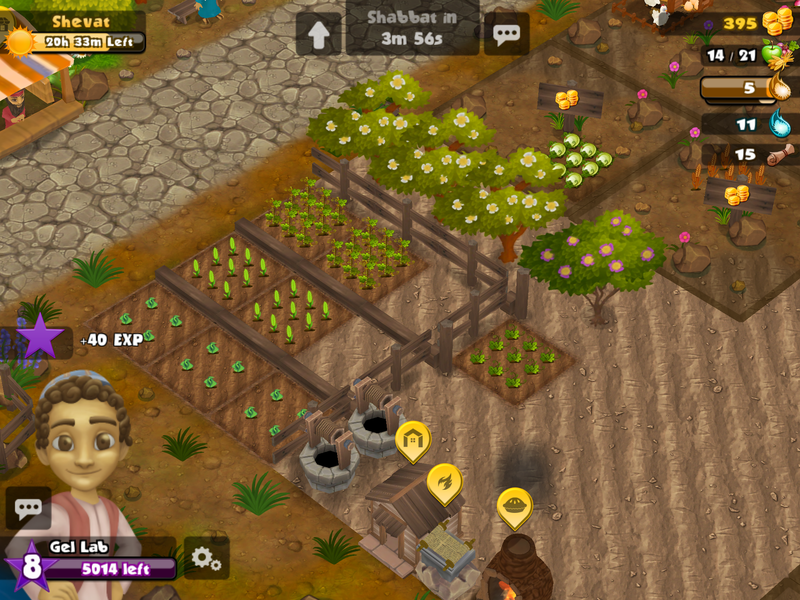 You, a budding scholar-farmer, are leading this transformation. In Kerem B’Yavneh, players must adhere to traditional Rabbinic law, culture, and practice while raising a family, growing crops of increasing diversity and goodness, trading in the marketplace, and helping Yavneh flourish. Never before have there been Jewish games both so cutting-edge and so well-adapted to use in an educational setting. Kerem B’Yavneh (KeBY) makes history come alive, brings context to Rabbinic literature, and provides a deeply interactive vehicle for critical thinking, discussion, and classroom debate. 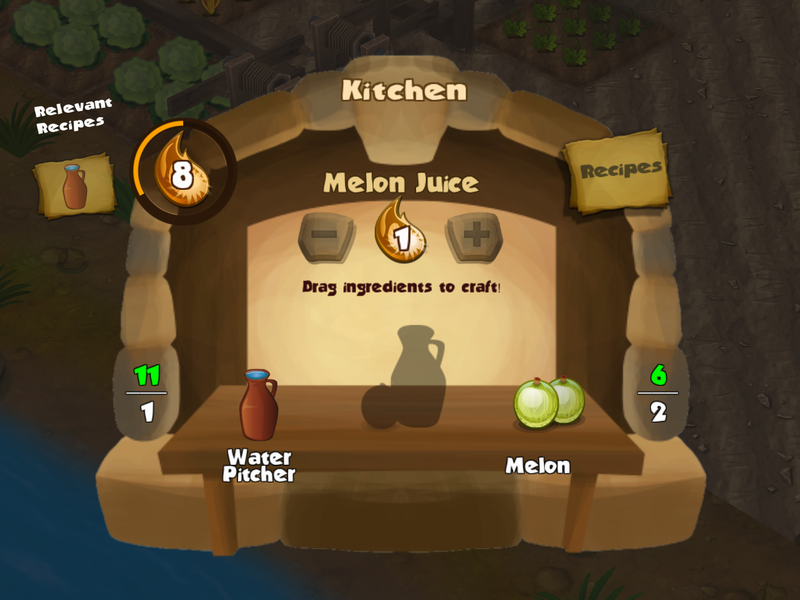 The game, which can be played by each student concurrently as a classroom community, provides in-game rewards for out-of-game work in school. Instead of using a pay-to-play model, KeBY promotes study-to-play, collaboration, and friendly competition amongst players. It enables the teacher to create customized content within the game to enhance and reinforce classroom learning and motivate players to truly engage in the material. Winn, B., O’Donnell, C., Margrett, R., Kozma, G., Durand-Hollis, X., et. al. Kerem B’Yavneh. Exhibited at the International Academic Conference on Meaningful Play, October 2016, East Lansing, MI.